I live in the south and when it gets cold our entire area shuts down. My kids don’t even have heavy jackets! 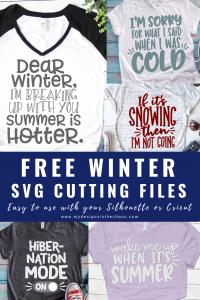 I thought it was only appropriate to create some funny winter SVG files because I know I’m not the only one who isn’t the biggest fan of the cold. Can you relate to any of the designs? I think the hibernation mode on design is my favorite. As with all of our files on the site we would love for you to make products with them for yourself, family, or even your friends. 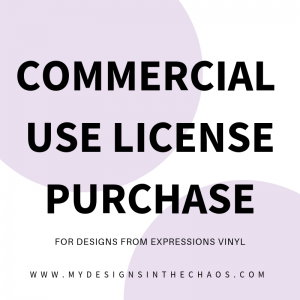 The download also includes a commercial use license for 200 items made by you. We do not allow our files to be outsourced for someone else to print. (like Printful or Amazon Merch) Also please do not take any parts of our designs to create your own designs to re-sell. Otherwise all we ask is that you pin our graphics below and then enjoy the creative process of your project. Also we love to see what you are making! Head over to our FB group or our FB page and show off your work. It is so fun to cheer each other on and be inspired! Scroll down to find the links to download. Know that feeling when you say something and then realize later how crazy it sounded? That seems to be the case for me each time the weather gets cold. Now I’m not talking chilly I mean below freezing. I can totally see this design looking amazing in some of this vinyl in the color aqua! It would give the feel of winter without being cold. Plus who doesn’t love a good shimmery design! Just make sure you get heat transfer vinyl if you are making a shirt. If you want to know the differences, we talk about all types of vinyl here. Summer really is my all time favorite season. The kids are off break, you can be at the pool all day, and the attire of messy hair is totally acceptable since you’ve been swimming all day. (if only we didn’t have that pesky thing called sun burns it would be perfect) Anyway… this design would be so adorable on a tote bag or even baseball hat! I can see it being an adorable gift for your beach bum friend or family member. This cameo HTV would be the perfect combo on black for the guy in your world. DEAR WINTER, I’M BREAKING UP WITH YOU SUMMER IS HOTTER. I love the punniness of this design. hehehehehehe I can totally see this one going on a cute farmhouse frame (learn how to make your own here) or s cute reversed canvas. You could make the vinyl a variety of colors like an ombre effect or keep it simple and monochromatic. Either way it will have the person looking at it smiling in no time! As I mentioned earlier, we would love it you would please pin the graphics above before you download. That helps us continue to be able to provide awesome files for you. If you use our images to advertise we request that you keep our logo on the mock up or on the design. (we have provided a few mock ups below with our logo for you) Then once you have made one, go ahead and replace that mock up with a picture of your own work. Read more about mock ups and grab a few free blank ones here. Want to browse more winter designs? Head over to this post for some more adorable Snow freebies or browse the shop here. Also, we have some great holiday freebies for Christmas available to download here. Then don’t forget to show off what you are making either below in the comments or in our FB group. Til next time…. Happy Crafting, Cutting and Chaos! So glad you enjoy them. 🙂 You are very welcome! Thank you..these are so cute!! These are strictly one color designs, correct? You are more than welcome. 🙂 Enjoy! These are super cute!!! Thank you so much ! Thank you very much. Love the designs. I’m looking for some PTA ones. Any Ideas? Feel free to reach out with any additional questions. 🙂 Thanks! I love all your work! Do you have the US Custom and Border Protection Flag svg.? Thanks! No unfortunately we don’t have that SVG right now. Thanks for checking though!